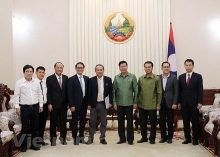 According to Vo Tan Thanh, Vice President of the Vietnam Chamber of Commerce and Industry (VCCI), Thailand is Vietnam’s largest trading partner among ASEAN countries, with bilateral trade reaching over 17.5 billion VND in 2018, a year-on-year increase of 15 percent. 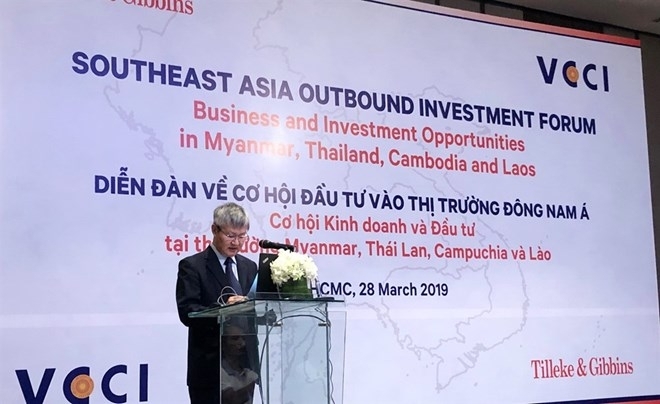 Vietnam’s trade with Cambodia, Laos and Myanmar also grew in 2018, he said at the Southeast Asia Outbound Investment Forum. Vietnam ran a trade deficit with Thailand because it imported a lot of machinery and equipment, raw materials for domestic production and automobiles, he said. In 2018, Thailand was the biggest source of automobiles for Vietnam, he added. 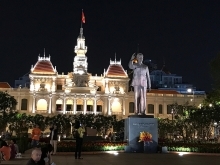 Vietnam’s exports to these markets include mobile phones and components, computers, electronic products and components, iron and steel, machinery and equipment, vehicles and spare parts, garment and textile products, crude oil, and gasoline. As of last year, Thailand was the ninth largest investor in Vietnam out of 130 countries and territories with 10.5 billion USD in 528 projects. Laos ranked 52nd with 70 million USD, Cambodia was 56th with over 64 million USD and Myanmar, 99th with one project worth 800,000 USD. Vietnamese companies have invested in all these countries, including nearly 26 million USD in Thailand. They have invested over 3 billion USD in Cambodia to make the country among the five largest foreign investors in there. Vietnam was the seventh largest foreign investor in Myanmar with nearly 2 billion USD in 70 projects. Investment and trade ties between Vietnam and these countries remain short of their potential and they are making efforts to set this right. Vietnam and Thailand for instance have set a target of increasing their trade to 20 billion USD by 2020, while Vietnam and Laos target 10 percent growth in trade this year. To provide local companies seeking to expand operations in Southeast Asia with more information about these markets, VCCI in collaboration with Tilleke & Gibbins, a leading Southeast Asian law firm, held the first Southeast Asia Outbound Investment Forum.